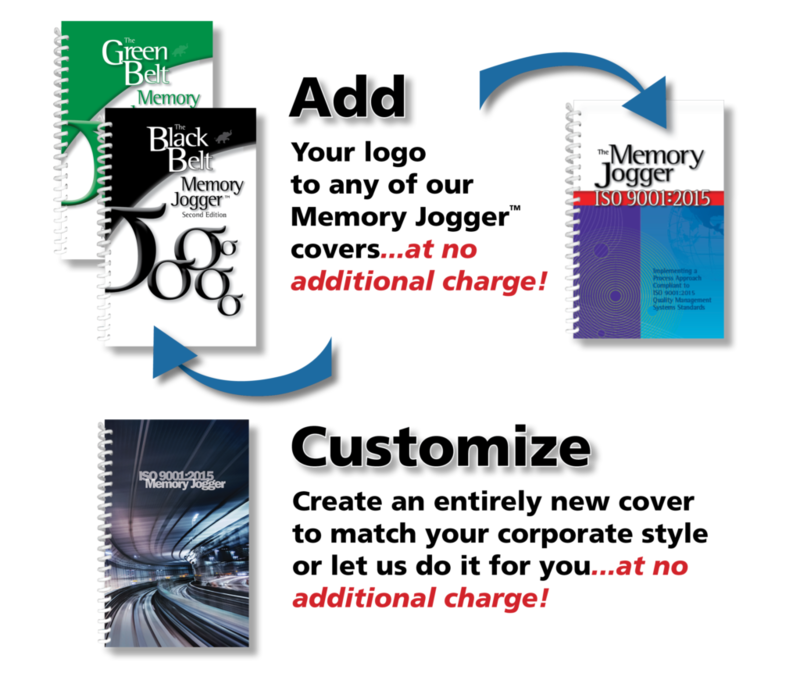 Turn our Memory Joggers into your own branded guides! Customize designs, change examples, combine titles, or include other brand-specific content to reinforce your organization’s commitment to business excellence. Contact us to get started today! Shipping will be quoted separately. Free customization offer is for inside and outside covers only. Added pages or combined books will be quoted separately. Typical turn around: 2-3 weeks. Minimum order quantity of 25 units for free cover customization. 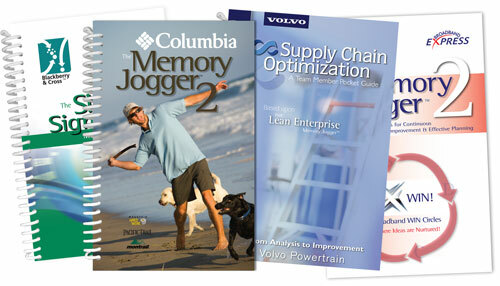 All volume discounts are applicable for custom book orders. If you will be designing your own custom covers, please see the Specifications Sheet for design requirements.